Experience Hawaii’s water in style, enjoy the ocean, the island and the romance. 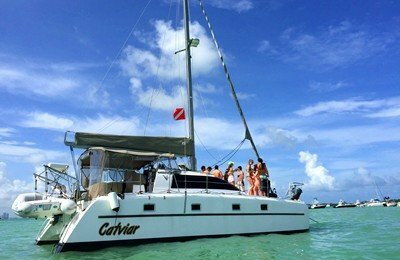 ALOHA, this private sailing trip is about romance and relaxiation. Experience Honolulu from a different angle, the city and the beach are just like a picture postcard when viewed from ocean. Departure from our beautiful Kewalo basin harbor, the view all the way towards Diamond head and Waikiki beach is stunning while under way. Take a close look at Diamond head light house, then sail to Hawaii Kai, surrounded by warm tropical water and wildlife . Stop by at one of the Coral reef near Diamond head, perfect for a snorkeling. 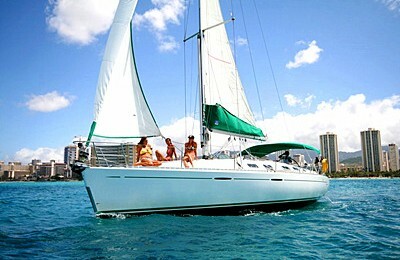 The ocean condition out of Honolulu is year around calm and warm, a romantic sailing adventure is right ahead. 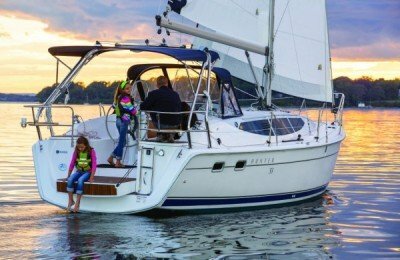 Base price includes 4 hours all inclusive private yacht charter, boarding location is located at kewalo basin harbor, detailed boarding instruction will be provided once your yacht charter booking is submitted.